In fact, financial troubles and downturns only seem to add fuel to the news fire! 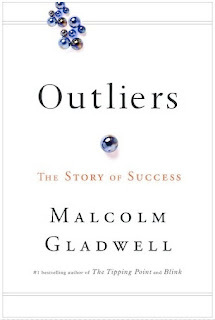 Gladwell's back with Outliers! More than having another book on success, I just love how he pulls all these statistical trivia to raise a point. Always a fun read so looking forward to getting my hands on one. Computer science doesn't appeal to women. Period. Facebooking? Be proud at work! Social Networking in the workplace increases efficiency. Hmmph. Tim Brown, IDEO CEO can tell you a lot about innovation. I'm a big fan of Karen Armstrong by way of the books she writes. Now, it's a bit bigger with Charter for Compassion.